As each person gains their voice, it has a ripple effect on families, schools, WORKPLACES, and communities. Learn about the areas that ENB is funding to expand English language classes in Massachusetts. Learn how your business can move forward by offering an English class at work. 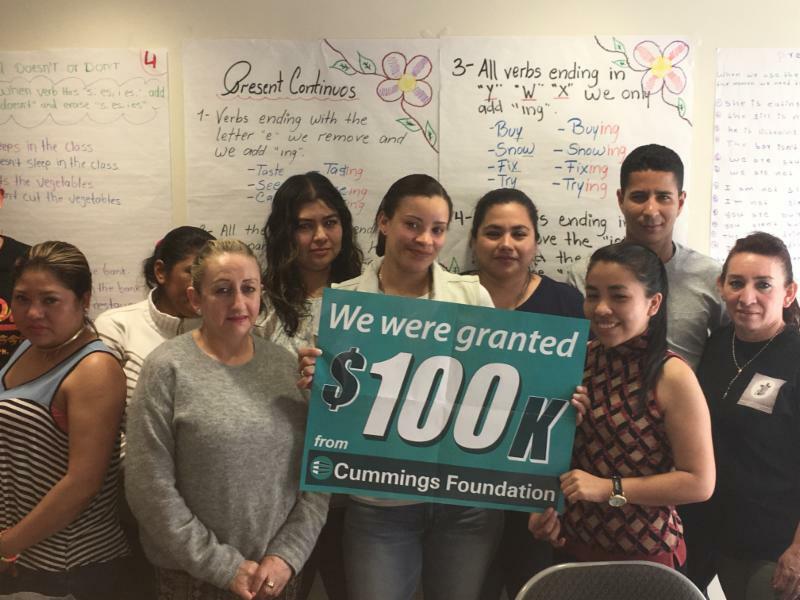 English language skills transforms the lives of immigrants and their families by giving them access to greater economic opportunities. Please give today.